We are based in the South-West of England and specialise in the installation and service of a full range of Electronic Security and Fire Alarm Systems. 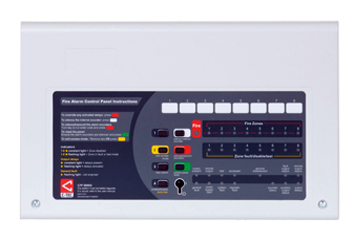 Security Solutions for Domestic and Commercial (Home & Business)We specialise in the installation and service of a full range of Electronic Security and Fire Alarm Systems. CCTV technology is developing all the time and CSUK are happy to provide the very best the industry has to offer. CSUK can provide the installation and service of a wide range of intruder alarm systems to protect your home or business. 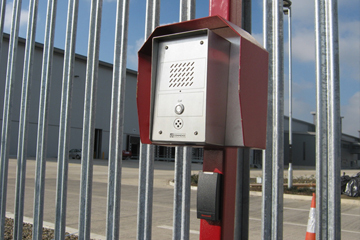 Access control is a great way to control who can gain access to your premises through one or multiple access doors. See our list of projects, Hear what our Clients and Customers think. Complete security have a proven record for customers satisfaction. 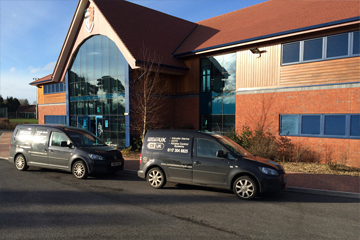 Welcome to Complete Security UK (SW) Ltd – The complete Security Solutions Specialist. 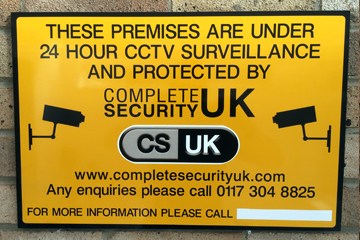 At CSUK we are experienced professionals and specialise in the installation and service of a full range of Electronic Security and Alarms; CCTV Systems, Intruder Alarms, Access Control, Fire Alarms . We are based in Bristol but offer our services throughout the UK which you may consider when securing your home or business whether it be a new system or alterations or additions to an existing system. Our Clients range From Domestic Home Installations to Large Commercial Businesses; Retail; shops, supermarkets, Educational Buildings; Schools, Colleges and Universities, Small to Large Offices, Factories and many more. Bristol, Gloucester, Cheltenham, Portishead, Weston-Super-Mare, Weston, Swindon, Clevedon, Nailsea, Cheddar, Backwell, Lolsgate, Cirencester, Bath, Chippenham, Calne, Stroud, Dursley, Taunton, Yeovil, Wellington, Exeter, Bradford-on-Avon, Cardiff, Chepstow, Swansea, Neath, Newport, Bridgend, Pill, Radstock, South West, South Wales, Somerset, South Gloucestershire. CSUK installed a high level CCTV system in my home which can be monitored remotely. I am really happy with the CCTV and Service. Excellent, I thoroughly recommend them. CSUK have professionally installed alarms in both our shops along with closing shutters. I would thoroughly recommend them. 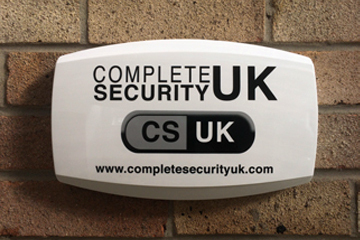 ‘Complete Security UK installed our monitored alarm and intercom system at our home. The service from start to end was excellent. They took time to explain our options and helped us choose something that met our needs perfectly. I had my home alarm upgraded. CSUK were quick, professional and tidy. They took the time to explain everything and were on the end of phone when I needed them. Copyright © Complete Security UK All Rights Reserved.